Every new Emily Carroll comic is going to be one of the most eagerly anticipated publications of the year. And by definition any book with a Koyama Press logo on it is synonymous with indie excellence. This month you get both in one package! When I was a mere slip of a lad this would have been touted in pre-publicity as “The titanic team-up that you demanded!” And, flippant 1970s nostalgia aside, it still seems a fitting selling point for Emily Carroll’s When I Arrived at the Castle. “A castle, a killer, and prey all bound and blurred by lust and blood” is the tagline for Carroll’s latest atmospheric gothic horror and this eagerly anticipated release lives up to expectations. We’ve seen an advance copy here at BF and as you would expect from Carroll’s work it’s as hypnotic as it is terrifying. Look for a full review of the book in the very near future at BF as Koyama Press’s Spring batch of releases start hitting the shelves. The war is over, so now what? For Jenner Faulds, it means returning home to The Feld and becoming a Fairman—a licensed private investigator. After impersonating a man just to join the army and fight in the war, this new career should be much less complicated. But nothing is going to come easy to the only “Fairlady,” as she gets stuck with the cases nobody else wants. As Jenner hits the streets to solve The Feld’s smallest mysteries, she’ll soon discover that the oft overlooked portions of society can hide the biggest secrets. 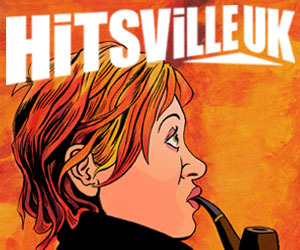 Writer Brian Schirmer (Ultrasylvania) offers a detective procedural ala Magnum P.I. with a healthy dash of noir and an outsider protagonist for good measure set in a fantasy world reminiscent of Rat Queens that is sure to raise eyebrows with every twist and turn of its plot. Artist Claudia Balboni (Star Trek) crafts a relatable fantasy world that smoothly incorporates the mundane and the magical—think of Copperhead in a fantasy setting rather than another planet—complete with a gritty underbelly perfect for ne’er-do-wells and a cocky private investigator. Adding to the challenge for the creative team is that each issue is a self-contained story, much the way television mystery shows are presented. Within its 30 pages, the mystery will present itself and be solved. So you’ll learn more about the characters as the series goes on, but you won’t have to wait till next issue to see the crime solved. Nice! The first volume in a 9 graphic novel series that premiered in French in 2011, from French-Moroccan writer Jean-Marrie Omont and Chinese artist Golo Zhao, is now available in English and should get new audiences hooked on the adventures of these two brave and adorable young heroes. Beginning in war-torn 1930s Shanghai, Yaya runs away from her wealthy parents, who are fleeing to Hong Kong, to attend a musical audition. Needless to say she does not meet them at the boat as she had planned, instead her life is saved by street urchin Tuduo and the unlikely pair set off across China. The art is colourful with soft edges, yet doesn’t shy away from the devastation and destruction of a city under attack. 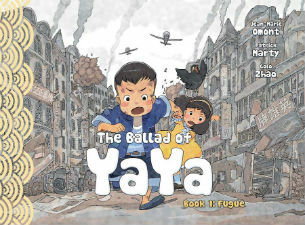 Imagine something like a cross between Belle and Sebastian (the cartoon, not the band) and Barefoot Gen, with a pair of fairly whimsical, though determined, innocents at the heart of a deeply dangerous period of history. Who would have imagined when those unfavourably received new character designs for Scooby and friends were unveiled in the 2016 Scooby Apocalypse pre-publicity that this book would end up with the cult fan-favourite following that it has? Jim Lee’s initial re-imaginings of the team and the notion of a grim and gritty Scooby-Doo series were met, at best, with indifference. But over the course of the last three years Giffen, DeMatteis, Olliffe and company have captured the spirit of the gang in a nonetheless tense, genre-crossing, horror/sci-fi/thriller series. Those invested in this flawed but very relatable cast will be sad to see it, and the rest of the Hanna-Barbera books, disappearing from the shelves. 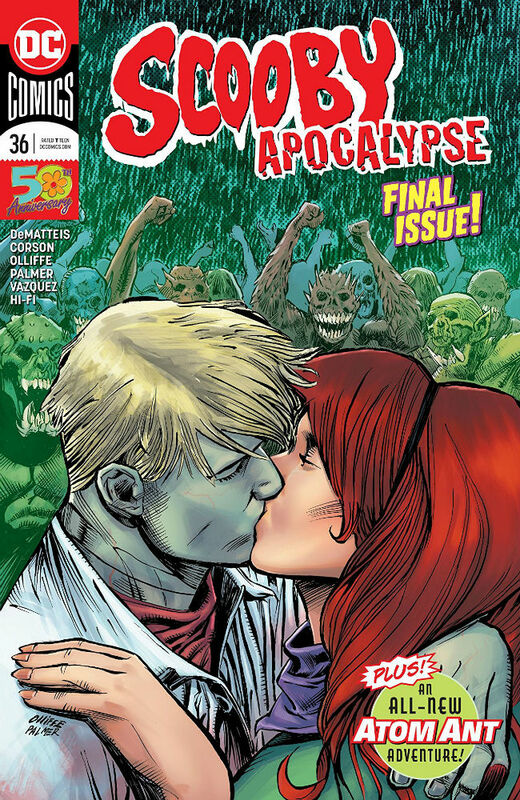 This final issue gives us one last visit to the monster-ravaged Earth of Scooby Apocalypse as a resurrected Fred and company have their final showdown with the Nanite King. The Atom Ant back-up also reaches its conclusion this month. 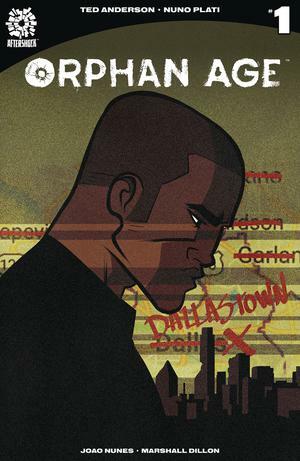 High-concept post-apocalyptic stories don’t exactly always manage to live up to their own potential, but I’ve got a good feeling about Orphan Age. That’s partly because the premise is nicely positioned between the “heard it a million times” immediate aftermath narrative, and the “oh what another one” far-future dystopia setting. Here we have a tale set twenty years on from the significant event, the significant event being the sudden death of all the adults in the world, leaving the children to build a new feudal frontier-land. Not that there’s anything particularly genre-bending here, you’ve got your marauding religious death cult, your muscular maverick hero types and a plucky teen who don’t remember the world any different. Written by Ted Anderson (Moth & Whisper, My Little Pony, Adventure Time) with art by Nuno Plati (Alpha: Big Time, Marvel Girl), this must have its tongue somewhere in its cheek and definitely will have some fun with mysticism and cynicism, and plenty of violence. Let’s be honest, I had you at high-concept post-apocalypse didn’t I? Marvel’s horror line of the 1970s was one of the true highlights of a retrospectively unfairly maligned era when the House of Ideas was actually constantly attempting to expand its genre horizons. Even if that did often involve chasing the latest pop cultural fad. Taking in both the regular colour line and the non-Comics Code black and white magazines its line-up of vampires, monsters, zombies, demons, lycanthropes and muck-monsters was a magnificently macabre offshoot of the wider Marvel Universe. 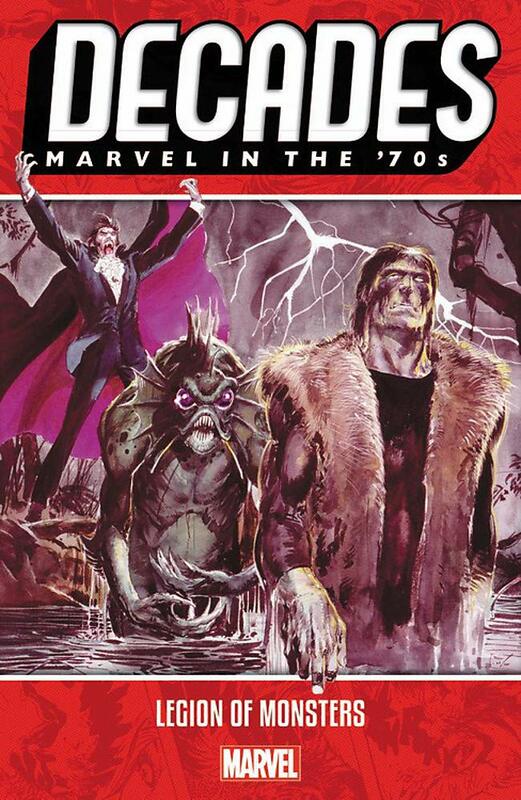 This latest book from Marvel’s Decades series celebrating their 80th anniversary gives a taster of some of those characters including the original appearance of Ghost Rider, Werewolf by Night, Man-Thing and Morbius the Living Vampire as the Legion of Monsters. There’s also material featuring Marvel’s classic version of Dracula and its creatively erratic but always interesting version of Frankenstein’s Monster among others. While these characters have not been at all well served by being integrated so fully into the super-hero world in recent years their original runs are among the best comics Marvel put out in the ’70s. This volume is a neat starting point for those wanting to investigate further. Staff Picks for April 25, 2018 – Permanent Press, The Pervert, The Beef, The Prisoner and More! 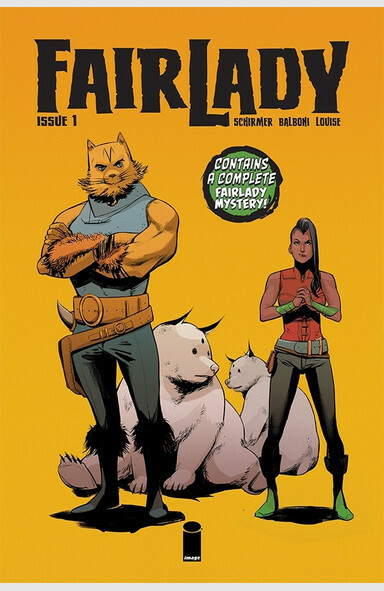 Staff Picks for January 24, 2018 – Mine!, Now, The Lie and How We Told It, Abbott and More!